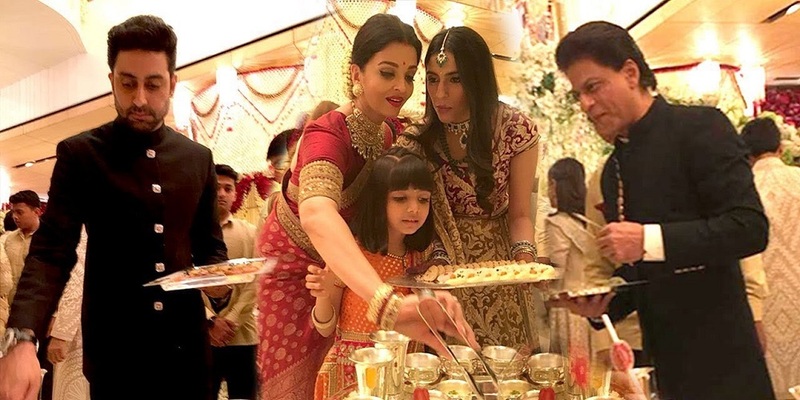 Hours after videos of Bollywood biggies Amitabh Bachchan and Aamir Khan serving food at Isha Ambani and Anand Piramal’s wedding went viral, a few photographs of Aishwarya Rai Bachchan, Aaradhya Bachchan, Abhishek Bachchan and Shah Rukh Khan serving the guests have now surfaced on the internet. Shah Rukh Khan, who is known to be one of the warmest hosts in the film industry, can be seen entertaining the guests while serving a dish to them. With his heartwarming candour and impressive personality, Shah Rukh turned the perfect ladkiwala as he hosted the guests and served food to them. 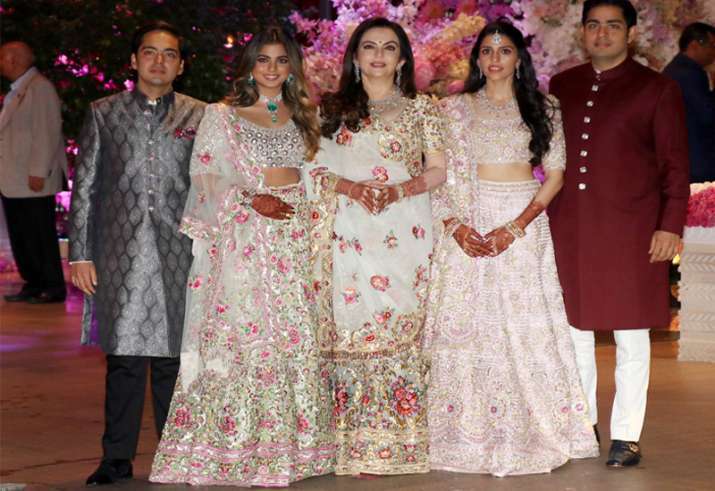 Well, it seems the entire Bollywood brigade turned just the perfect ladkiwalas at Isha Ambani and Anand Piramal’s wedding that was held at the Ambani residence in Mumbai on December 12. For the uninitiated, the power couple kickstarted the pre-wedding celebration in Udaipur in the presence of their close friends and family members. Apart from Bollywood biggies, Beyonce, too, arrived in India to perform at the pre-wedding bash leaving everyone in disbelief and in awe. The couple hosted their wedding reception tonight and the likes of Dia Mirza, Sahil Sangha, Boman Irani, Hema Malini, Jeetendra, Ekta Kapoor, Kartik Aaryan among others graced the occasion.